On May 17th, 2011, Jake Bramante stepped onto the McDonald Creek trail to start his project to try to become the first person to hike all 734 miles of trail in Glacier National Park in one season. 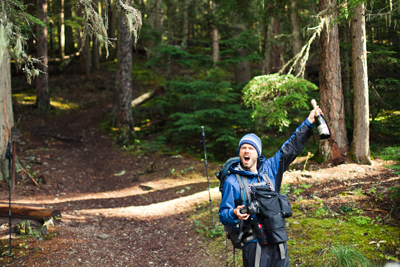 Over the next five months, he hiked 89 days, covered 1,200 miles and finished on October 15th. In between those two dates lies wildflowers and waterfalls, bighorn sheep and mountain goats, grizzly bears and bull moose fighting. Like any project, it starts with dreams, then confronts the realities of walking it out. Some days were sunny while others were rainy (with a few snowy days as well). 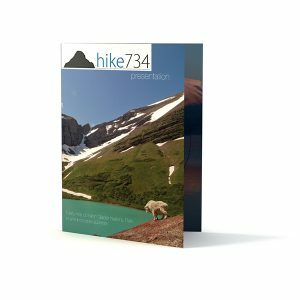 Hear the stories behind the photos and videos on hike734.com including the grizzly encounters and the desire to just call it quits. The Hike 734 presentation was filmed in Helena, MT where Jake gives his 70 minute presentation filled with stories, photos and videos as part of the “Touch of Glacier” series by the Glacier National Park Conservancy. This video is available as a DVD or an instant digital download in 720p HD. A portion of the proceeds from the sale of every video go to the Glacier National Park Conservancy. To find out more about the wonderful work that they do, visit their website at glacier.org.